Women's March Victoria acknowledges that we are gathering on the unceded territory of the Lekwungen speaking peoples. We acknowledge that the Songhees and Esquimalt nations have stewarded these lands and waters since time immemorial. We live, work, and play on Lekwungen and Saanich territories. These peoples have never stopped stewarding the land, and we all have a better quality of life due to the work they’ve done and continue to do. The march is quickly approaching and we are very excited to announce that this year’s global theme is: Ending Violence Against Women! As an organization that supports local grassroots activism, we took the feedback that we received last year seriously and decided not to have official speeches at the march this time, but instead invite grassroots organizations to set up tables after the march in Centennial Square where people can mingle, keep warm, and talk to the local activists directly. 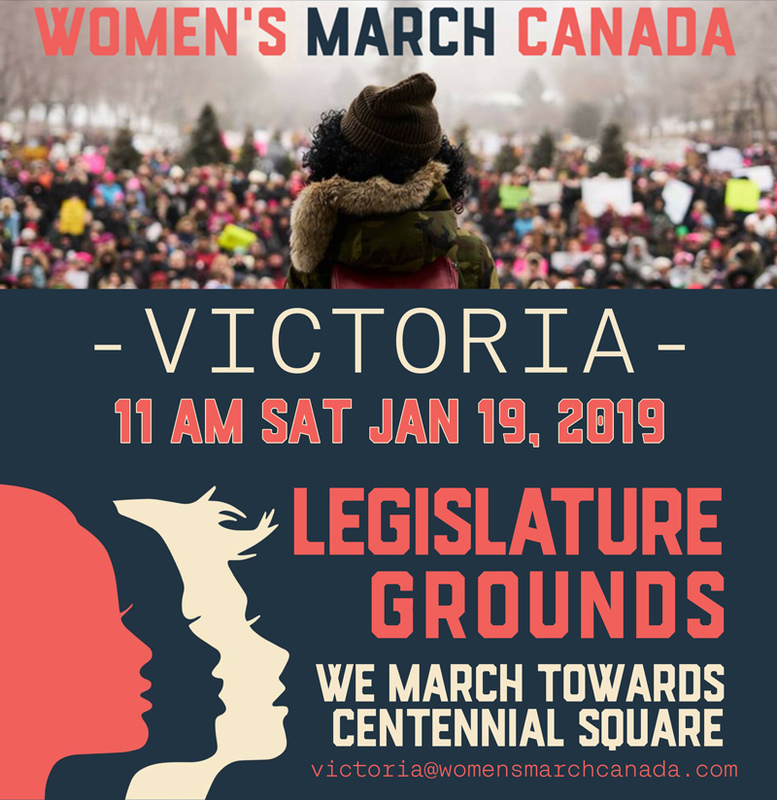 We would be honoured if you could join us on Saturday, January 19th, 11am-2pm, as we march from the Legislature to Centennial Square, and we invite you join us post-march at Centennial Square.